He wanted to do for him a quick doodle with color, rough and scratchy lines, as the same as I did with the drawing for Scoob Da Husky some days before. I love doing this, it was very relaxing, no matter to create straight and clean lines, just starting the sketch and with that same sketch finish the outline on the same layer, and then on a single layer add all the color. 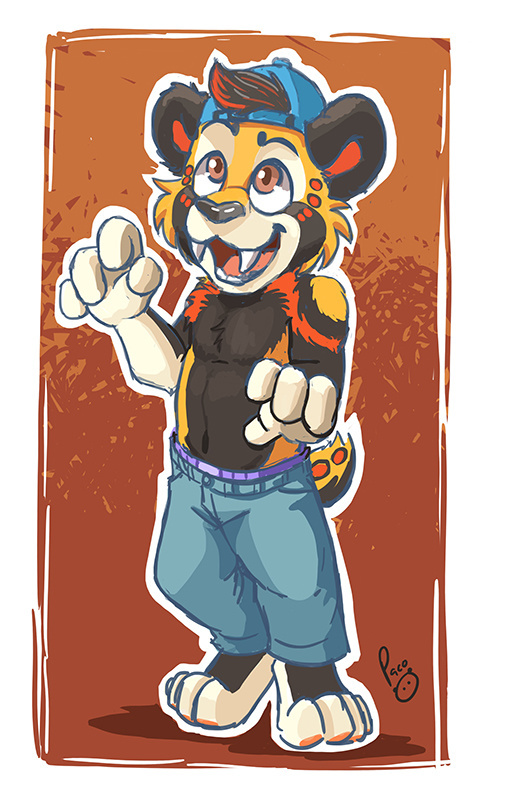 And also this sabertooth is so adorable!!! i LOVE his colored sketches. clean lines are nice too, but something about sketchy lines brings something new to the picture. Are different kind of results, it's nice to try different styles. Tal vez si le preguntas amablemente, él te pueda morder con mucho gusto.